Amish craftsmen are well known for the beauty and precision of their wood creations along with their expertise in animal handling. Our carpenters at Amish Structures merge these two qualities together creating unique and functional custom dog kennels. As makers of durable and decorative sheds, pergolas, gazebos, storage units and even swing sets, Amish Structures can build the ideal kennel for your dog. Here at Amish Structures, we offer excellent solutions for custom dog kennels that provide both form and function to the highest degree. 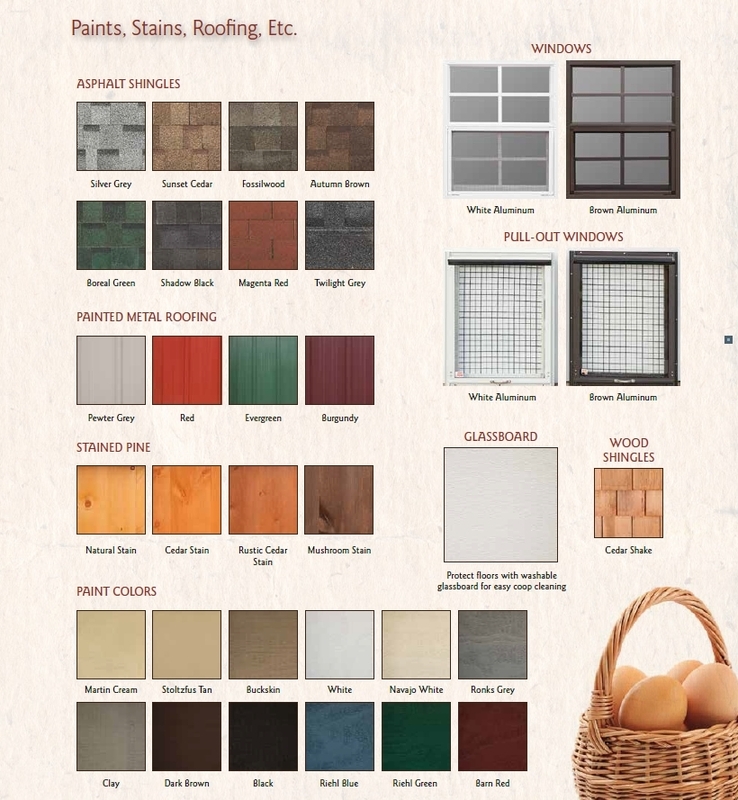 These beautiful hand-crafted wooden buildings are available in as many as twelve different wood siding and trim styles, plus your choice of nineteen shades of roofing material. 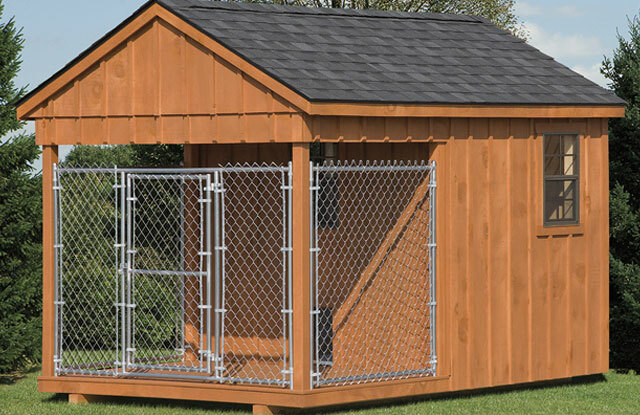 These kennels will beautifully complement your home and lawn while providing an ideal environment for your pet. We use pressure-treated pine wood that resists warping and retains its original beauty. Our Amish built kennels are a true specialty. The standard size is a spacious 8 feet by 12 feet and our craftsmen can configure these in several different ways. The typical design sits on a rectangular footprint with board and batten siding that presents a fully enclosed and covered indoor area. Through the front door is a raised, open-air patio that will be fenced to your specification with strong chain linking and an exterior gate. The roof can be ventilated with a ridge vent to provide airflow. Real double-hung windows can also be added to allow additional light and air. With this configuration, your dog may move freely from inside to outside whenever they choose. Thus shade and protection are always available. While inside our Amish dog kennels, your animal will enjoy ample room to move about. All of our Amish dog kennels are constructed in the United States. These beautiful additions to your property are built by our experienced craftsmen who understand that you love your pets and wish to protect them in any type of weather. The custom dog kennels from Amish Structures are sturdy, durable, and built to endure any climate. These structures will enhance your home or yard and last for years. Contact us today!